I was a bit concerned, but I needn’t have worried. 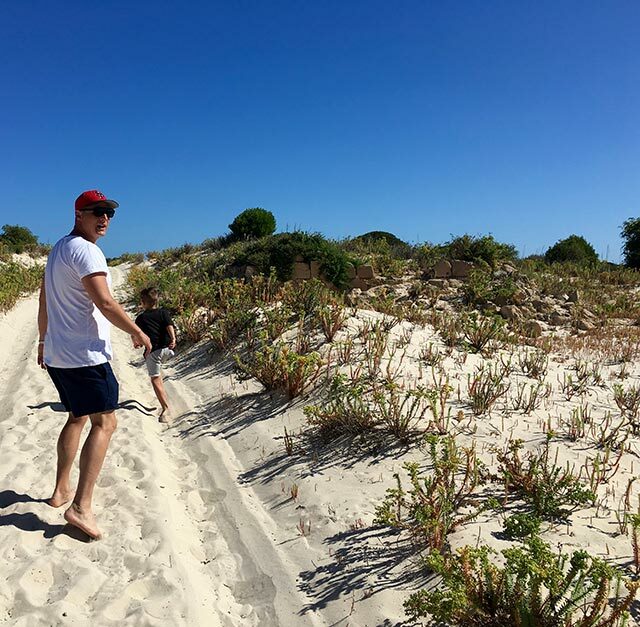 I set aside my preconceived ideas of what an Aussie desert might look like, and took it all in. 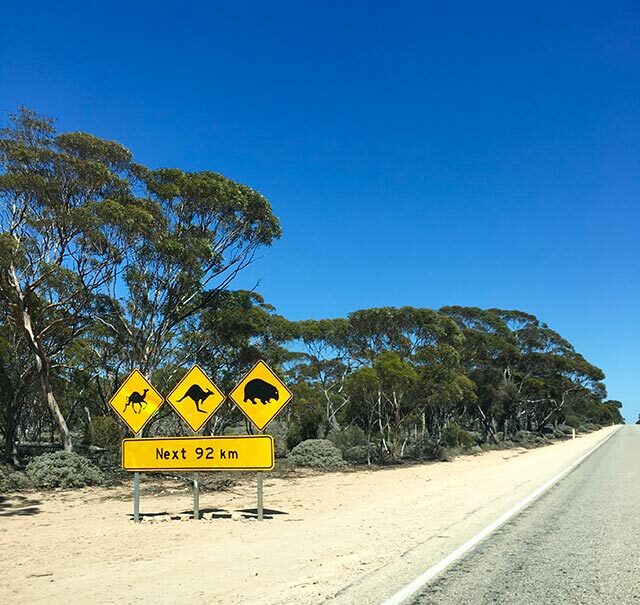 The driving was hard going at times, and if I’m honest, I only drove 2 hours out of the total drive, as I found passing road trains and other oversized vehicles pretty hairy. But I found the scenery enchanting. Varied too, for a desert; brimming with life. We saw loads of wildlife, both alive and not so alive (such variety in roadkill! Roos, lizards, snakes, birds, and even a bull!) and we enjoyed the subtle changes in landscape and plants between townships. 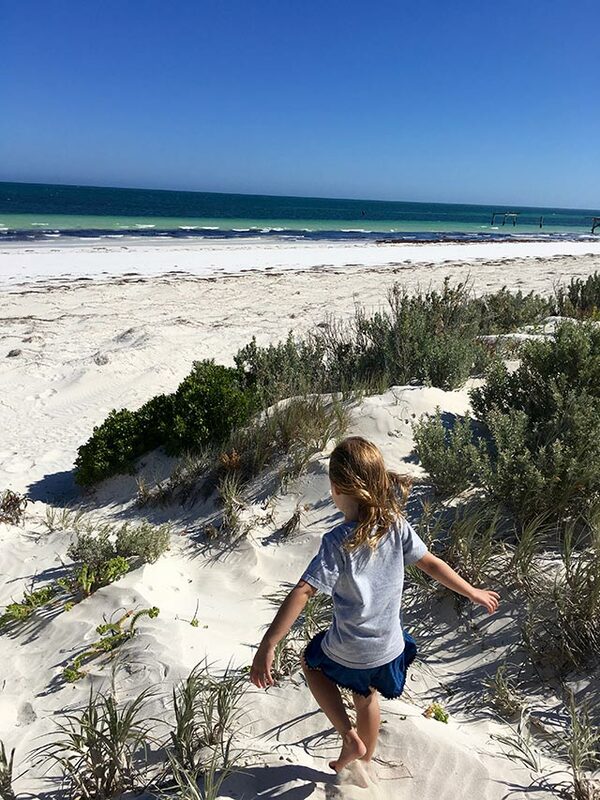 We stayed overnight in Ceduna (though I wish we’d stopped in Streaky or Smoky Bay, after the fun of Port Lincoln, Ceduna was a bit of a let down) and in Eucla, and finally Norseman. 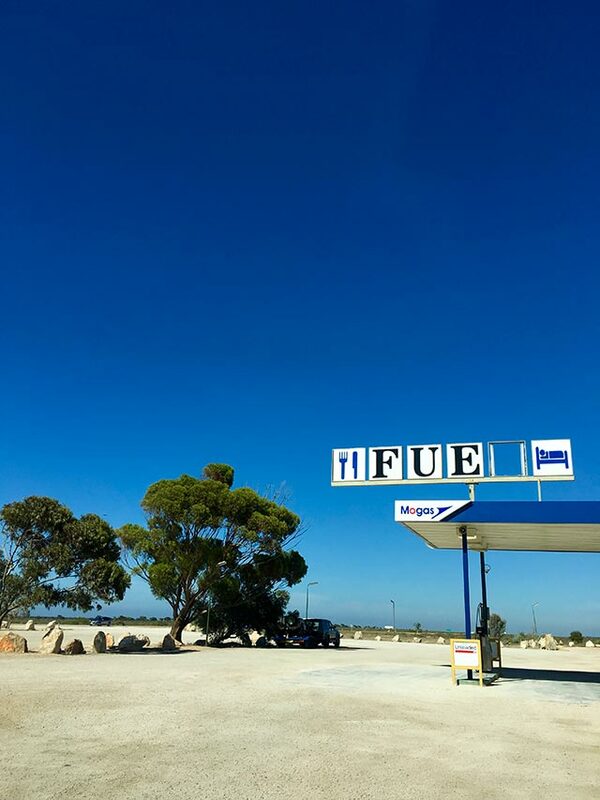 Eucla is the friendliest of stops on the eyre highway, and the staff at the motor hotel are lovely. 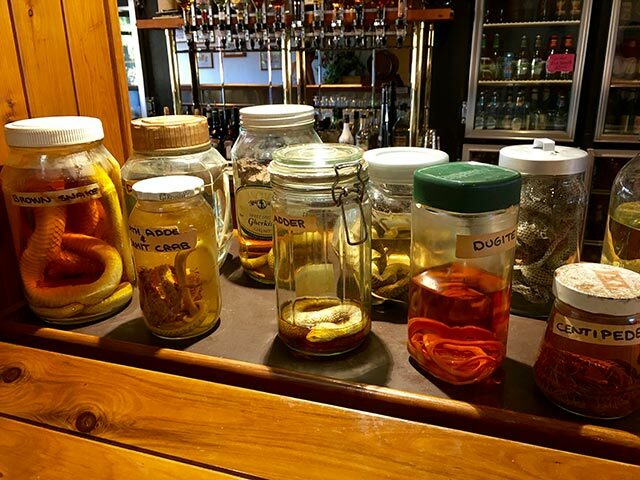 Check out the specimens at the bar…they are well and truly pickled! Snakes! 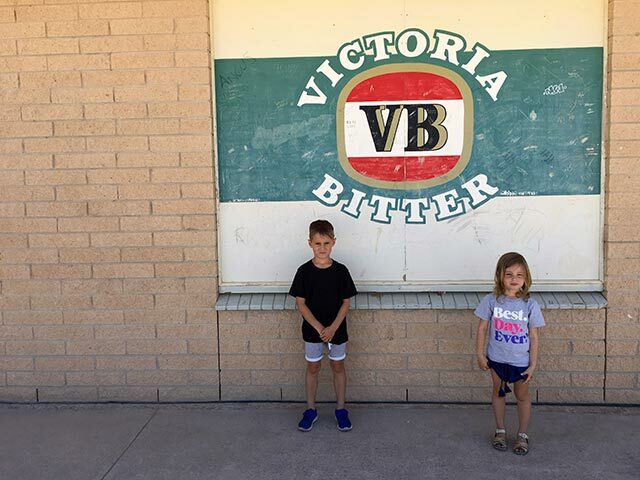 It was easy to imagine Norseman, now virtually a ghost town, in it’s hey day during the gold rush, as a vibrant outpost. 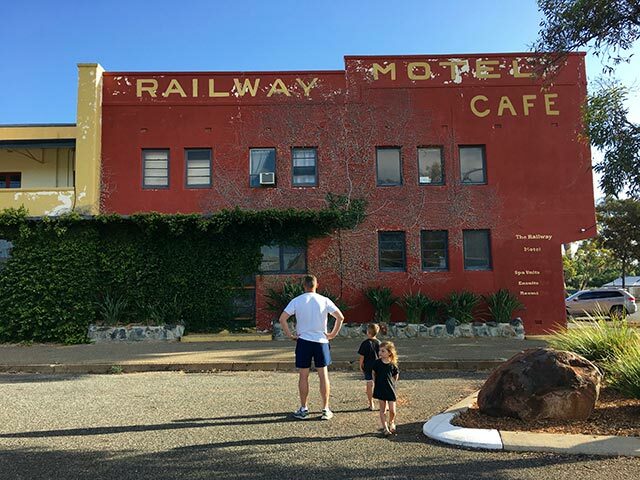 The old Railway motel would have been quite something in its day. 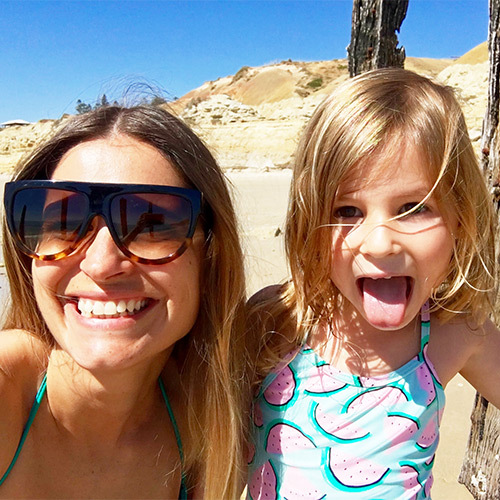 So here’s a list of things that I recommend you do along the way! Be sure to bring plenty of water! 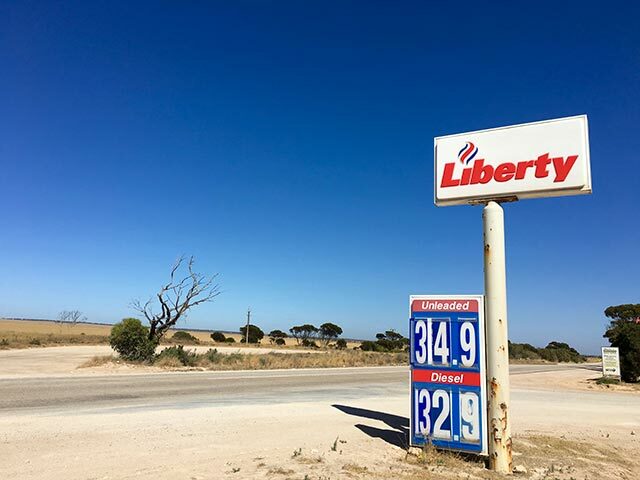 And it’s not a bad idea to stock up on fresh food in the bigger townships, as food along the eyre highway can be a bit hit and miss. Important to note too, that there are serious quarantine checks at the WA/SA border, and all fresh food must be surrendered. Yes, even that bunch of bananas you had every intention of eating 2 hours ago. And didn’t. 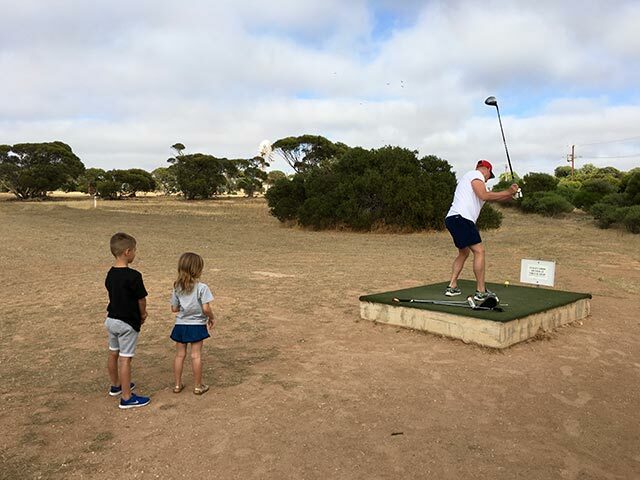 Play the Nullarbor Links: An 18 hole course that spans 1,365 kilometres with one hole in each participating town or roadhouse along the Eyre Highway, from Kalgoorlie in Western Australia to Ceduna in South Australia. An excellent excuse to stop, stretch your legs and avoid fatigue. At one hole there were two families of emus (complete with babies!) and a dead snake! 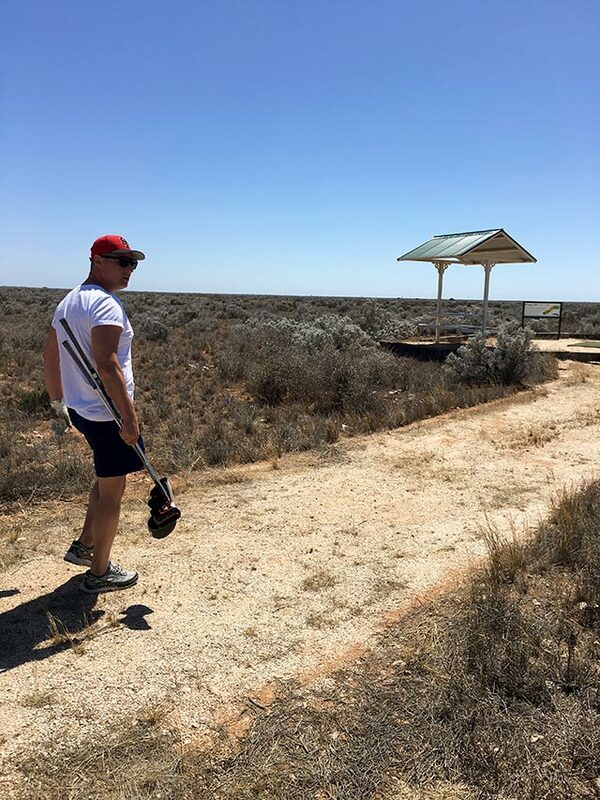 Stop off at the old Eucla Telegraph Station ruins (the station served as an admin office in 1877 for both Western Aus and South Aus!) 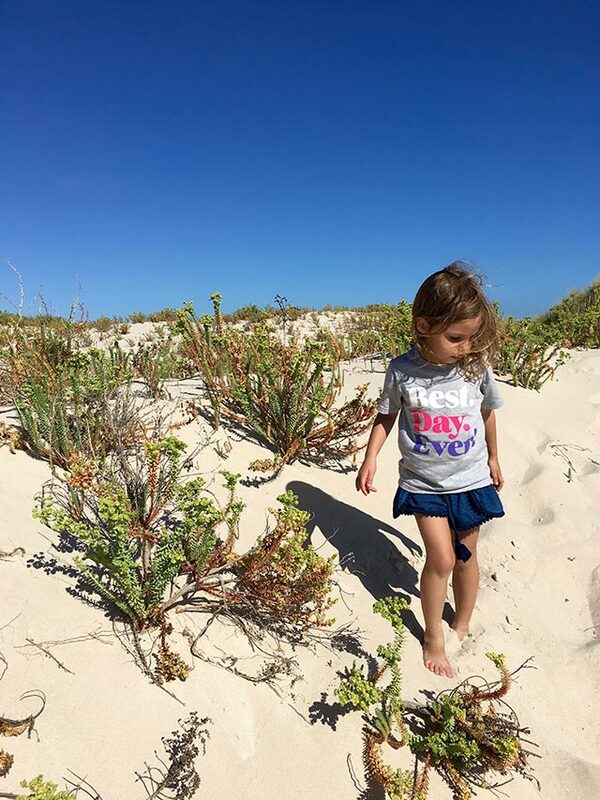 then walk through dunes to the ocean. 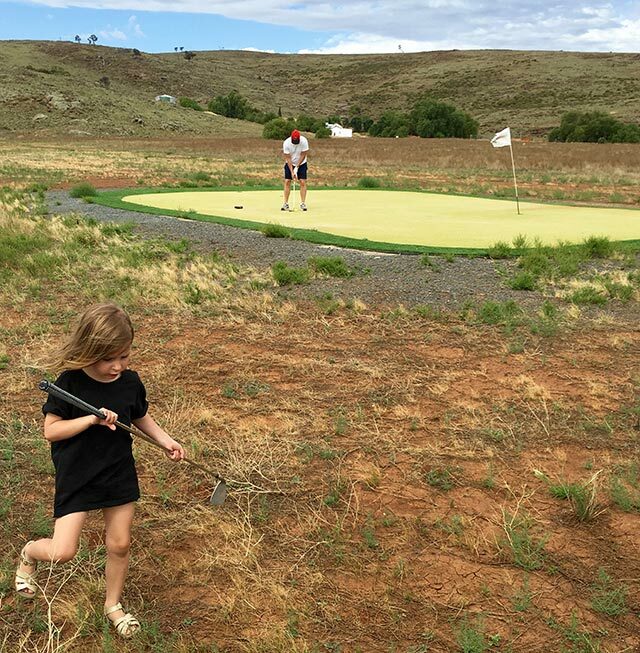 Wear shoes, take water, sunscreen and a hat. We forgot to! 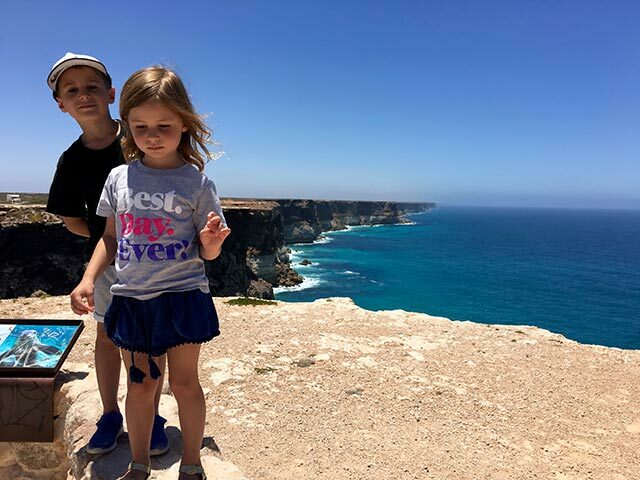 Stop at one, or more of the Bunda Cliffs lookout points. Nothing between you & Antarctica…and so many hues of blues, there’s something mesmerising about the ultra blue waves crashing into the streaky layered cliffs. 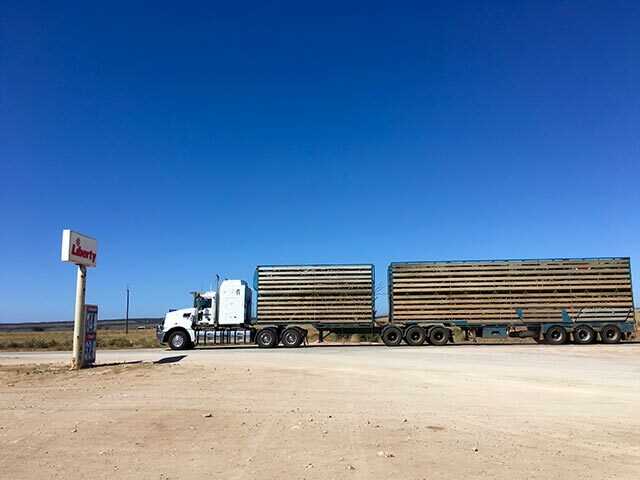 Keep your eyes peeled for road trains and gigantic farming and mining vehicles and equipment. Interesting for the younger passengers, and it pays to be in front of them, not get stuck behind them, doing under 60 kms in a 110km stretch! As a last resort, make sure you have a movie loaded on a charged iPad…! 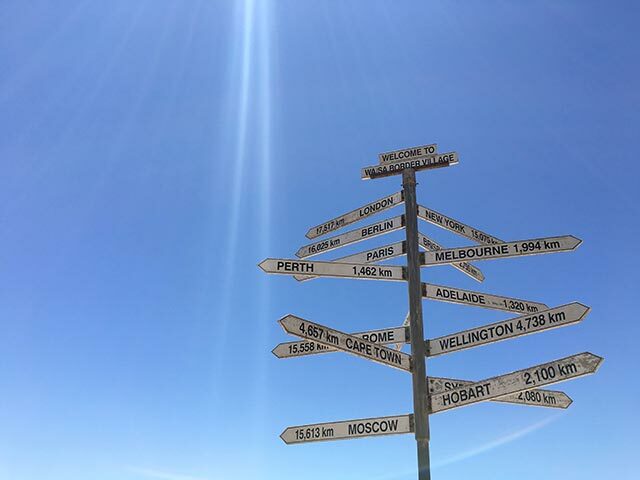 And so, driving cross country was a rewarding rite of passage for this Australia loving Kiwi! I’ve done it now, and I am glad I did. 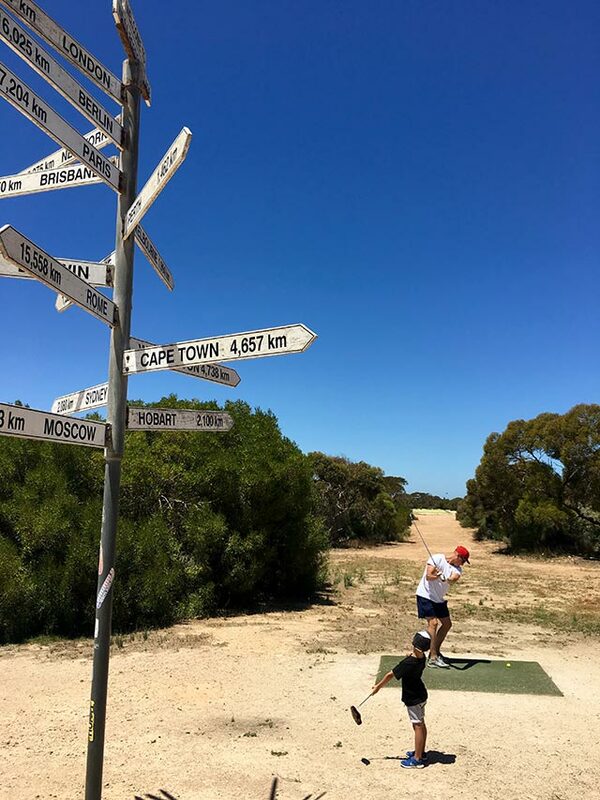 That golf course in the middle of nowhere is so surreal!